– See the stars from the clear air of YMCA Camp Oakes. – Learn of new developments in amateur telescope making (ATM). – Talk in-depth with the companies that make telescopes and other equipment for the amateur astronomers. – Join in on presentations that cover the gambit of observing, telescopes, and getting started in astronomy. The event’s keynote speaker is “Mr. Eclipse.” Of course that’s Dr. Fred Espenak, retired after 30 years as NASA astrophysicist at Goddard Space Flight Center. He now maintains NASA’s eclipse website at eclipse.gsfc.nasa.gov. A prolific author, speaker, eclipse-chaser, photographer, and eclipse expert, Dr. Espenak will discuss latest and best ways to experience the upcoming 2017 solar eclipse. Learn more at www.mreclipse.com. The Beginner’s Corner area will offer comprehensive presentations and nighttime observing for those who are new to amateur astronomy and want guided hands-on experience. The RTMC Astronomy Expo also offers activities for the whole family with its Family & Youth Activities weekend. Kids (and the kid in all of us) will enjoy movies, journeys through the Solar System, and Cosmic Ice Cream. 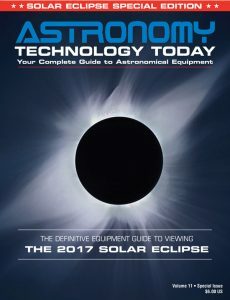 The event will also feature an Astro Imaging Exhibition where attendees can bring a print of their favorite film or digital image produced since last year’s conference in any or all of five categories – Solar System, Deep Sky, Eclipses/Transits, and Meteors, Atmospheric Effects and General (with an astronomical theme). Learn more at www.rtmcastronomyexpo.org .